Savvy business owners who knew how to market their business have printed their corporate logos and names on products that would certainly make their business known to the public eye. Promotional pens, mugs and other useful items are commonly used to promote a business or company. These products are called promotional products. 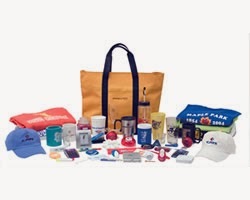 Promotional products or merchandise has been around ever since. The practice of giving out free products bearing a business’ logo or brand name in order to create a positive image of the business has been around since 1789.During this year George Washington used commemorative buttons for his election campaign. These buttons were used to create awareness about Washington’s campaign. Though giving out buttons is not solely the basis of why Washington won the election but it was a very successful advertising material.